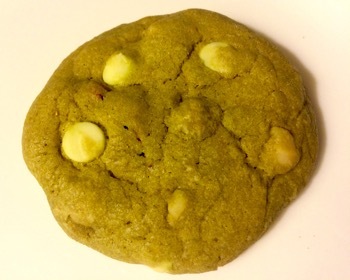 MATCHA WHITE CHOCOLATE CHIP MACADAMIA NUT COOKIES - WITH STRAWBERRIES!! "The Ambassador" upgraded with the sweet, fruity tang of real dried strawberries. The best of sweet, tangy and earthy all in a soft, chewy cookie with crisp edges. Inspired by Cat's foodie sister from another mister, Valerie.